BOOK YOUR APPOINTMENT FOR GURU BIKE FITTING! GURU bike fit optimisation is a professional bike fitting service, allowing you to find the best bike size for you - no need to use bike size guides and charts. 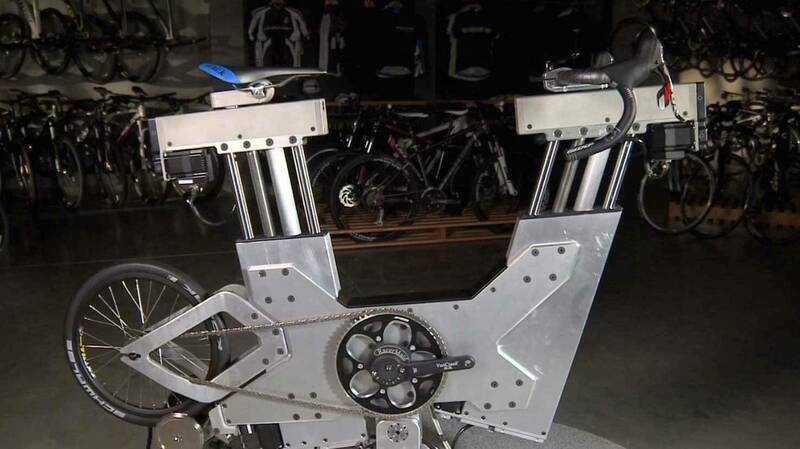 GURU bike fit system is all you will need and has changed the way you buy a new bicycle. Anyone can benefit from having a bike optimiser whether your a novice or professional cyclist. Cycle Division are proud to be able to offer our customers the GURU bike fit optimiser. Please note that there is a £20 charge for setting up your bike should you want to make the adjustments after the bike fit. Finding the best road bike size can be a difficult task. Not anymore. The Guru bike fitting system is now installed here at Cycle Division to offer you the best service when buying a new road bike. We can offer expert bike fitting advice, find your best riding position with our trained experts on the GURU Bike fit. With cycling becoming more and more popular across the UK this professional bike fitting service can help novice cyclists to profesional cyclists. 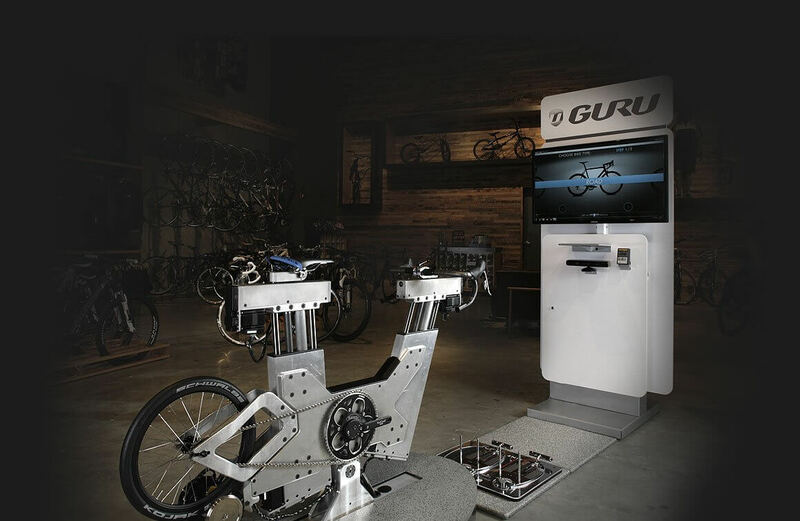 Looking to get a bike fit around Derbyshire - then come and visit us to use the Guru Bike Fit system. Come and get the best bike fit from GURU via Cycle Division Derby, read our customer reviews to see how the bike optimiser can help you. 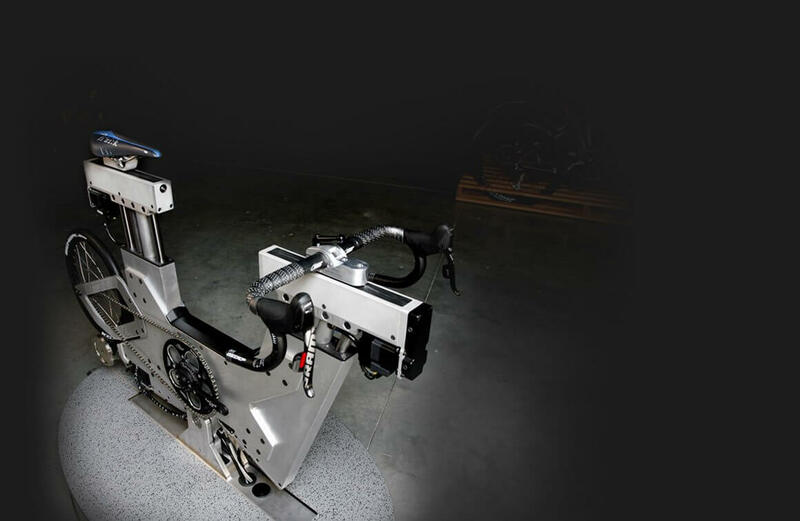 The Guru Bike fit system has the most real world use out of any bike fit currently on the market, there’s no human error placing of white dots or hand measuring of angles, trying to feeling around for joints and bones under the skin. Every riding position, cadence and style is taken in to account and we can fit you focusing on the position that YOU prefer to ride in. The Guru fit is a collaborative effort, we don’t tell you how to ride, we find the optimum position together. Guru certainly have “the wow factor” with their system, when you have a fit it’s a real experience. The big screen displays power, cadence and all relevant measurements, your body alignment is measured using a sophisticated motion capture system with the ability to read your exact height and body measurements. Another plus is the bike finder side of Guru, you ride the bike and we adjust everything to find your optimum position, the system then automatically selects from a catalogue of over 50 brands a range of bikes that are nearest to your ideal riding position. As a stand-alone option the bike finder is hugely valuable, you aren’t dictated to by looks. There’s no fiddling with bikes to get them to fit you, all guess work is eliminated. Never have you been able to find the definitive bike for you, the bike finder saves you potentially thousands of pounds and years of riding the wrong bikes, with the bike finder you’ll find the perfect size and style of bike. The Guru system is the way forward, we understand there are experienced bike fitters out there who are phenomenal, fitters who can solve problems and put you in the perfect position, the Guru system is much more than this, it’s a fit system, a bike finder system, a dynamic testing tool. Guru is the quickest and most effective way to set you on the right track to achieve all of your cycling goals. See our website or call us on 01283 711 398 to book an appointment. Hear from real Cycle Division Bike Fit customers by reading our reviews! I'd like to thank the lads at cycle division especially Dan for the expert fitting and advice. The change in position with a shorter stem and higher seating position has sorted out my back ache and pain in my bum and top of leg. It was also good to know what other bikes suited my size and style. A big thumbs up from me. I've just had a Guru bike fit with Dan. I'm in the market for a new bike and wanted to find out what my ideal measurements are rather than buy a bike and try and make it fit me. Compared to other bike fits I like the way with the Guru system that you can feel the changes as you are peddling in real time to end up with what works best for you. The end result was a position that I felt I can ride in all day without any aches or pains. Now I just need to find the right bike that closely matches these measurements. I would highly recommend this system to anyone not happy and looking to improve their riding position. I raced a lot when I was younger and came back to cycling recently after a 20 year lay off. Because the bikes and equipment has changed so much I decided to go to Cycle Division as they are relatively local. I got such great advice from Gareth and the guys there that after getting a mega deal on a Scott Addict I decided to make sure I was starting off on a good footing again by having the bike fit. I had my old measurements and a good idea of how i wanted to be but this wasn't needed because after the fit my position was totally changed and even though I'd only been back on the bike less than a year my feeling on the bike is massively improved. I'm not sure what other kind of bike fitting systems there are out there but this Guru system blew my socks off. I would highly recommend this to anyone. Thanks again guys! The difference the Gurubike fit has made is nothing short of remarkable! I hadn't realised how inefficient and uncomfortable my old position was until I rode the new one. Comfort has increased as has average speeds and better power for climbs. I really couldn't be happier.